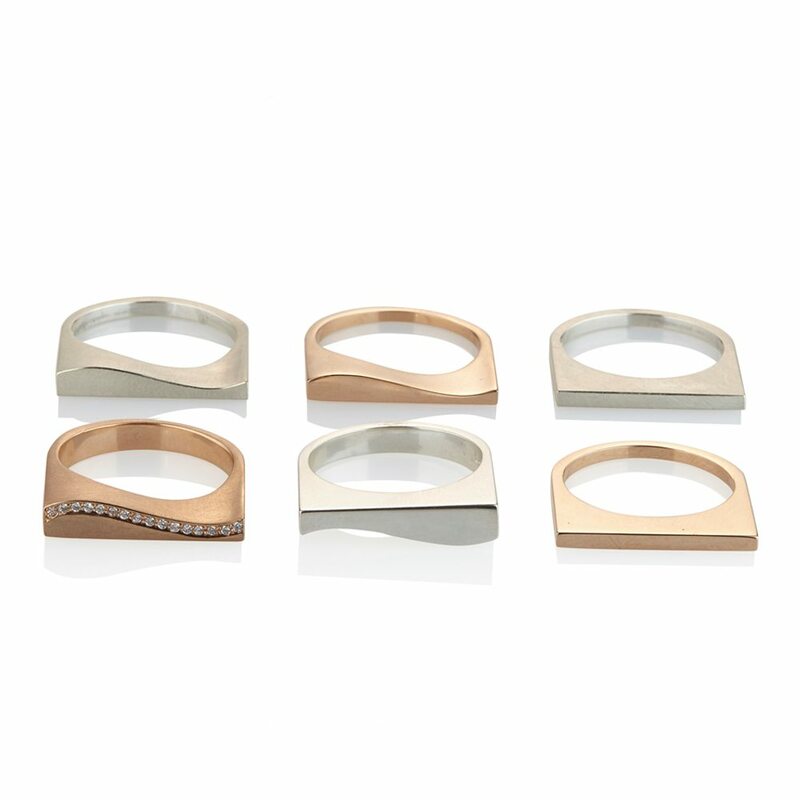 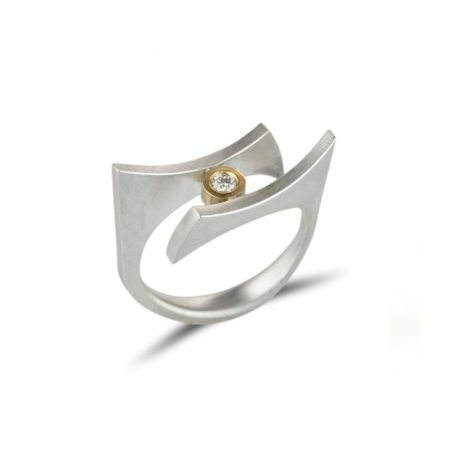 Curves and straight lines work wonderfully in this Quintet ring – so lovely and so up-to-date at the same time! 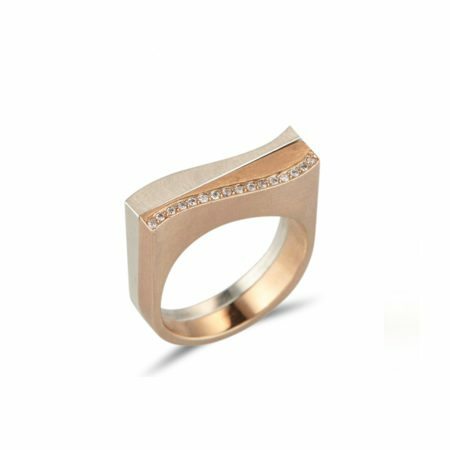 Made in 18ct rose gold and pave set with round brilliant cut diamonds (0.075ct in total), it marries modern, clean lines with some bright sparkle to catch the eye. 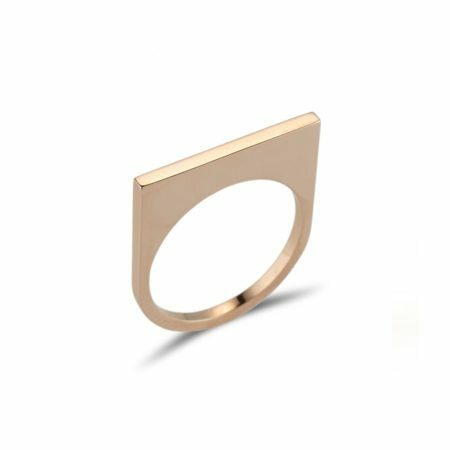 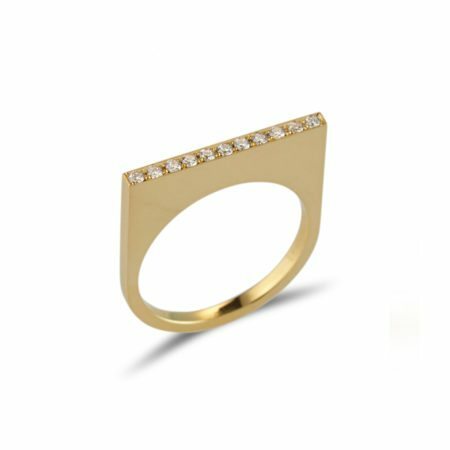 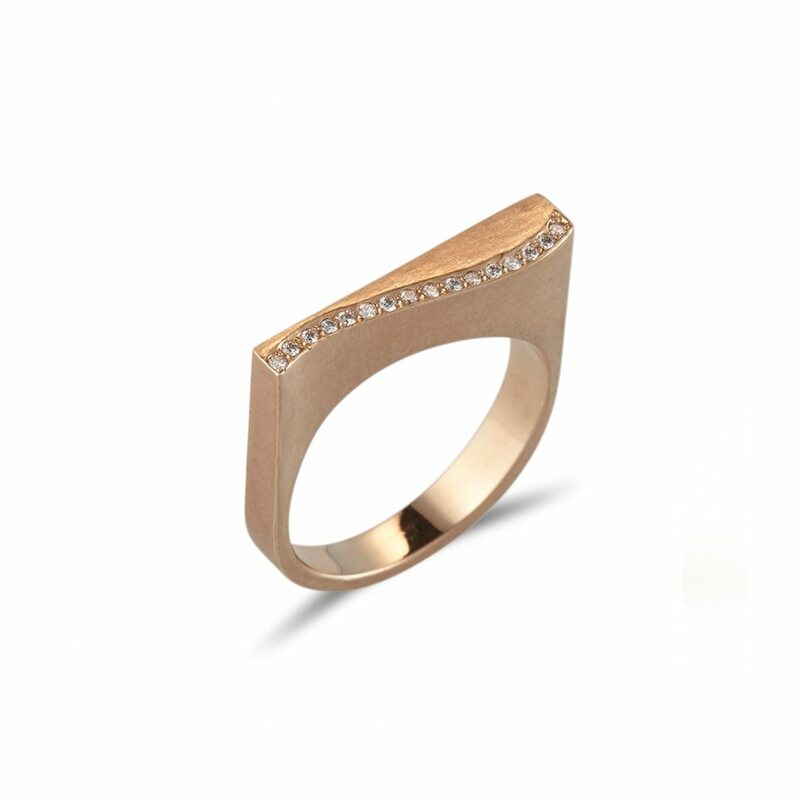 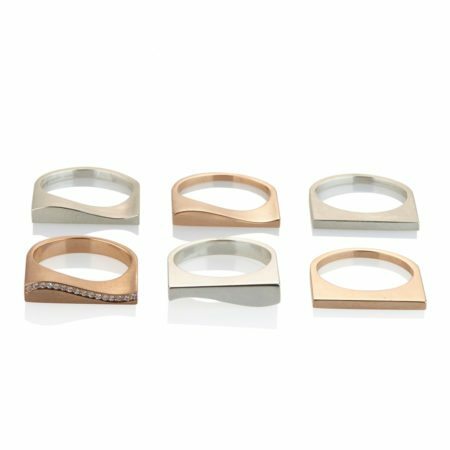 This ring could not be more pared back but, at the same time, there’s so much to it – incredible!